When you think of zombie apocalypse heroes – you know, the ones who make it out alive at the end of the movie – you probably imagine the unflinching, unforgiving, uninhibited and stone-faced characters like Rick Grimes of The Walking Dead. Then there are those like me, the bookish, brainy, and boneless, who have to rely on means other than strength and speed. I’m gonna need to turn to books if I have any chance of surviving against the undead. Here are the top five books you’ll need to survive the zombie apocalypse. A zombie book during the zombie apocalypse! Am I insane or just plain brilliant? This graphic novel is the perfect way to gain some inspiration for your journey. Plus, each compendium is large enough to be used as a weapon if need be. Bash some zombie brains and read about the adventures of Rick Grimes at the same time. Let’s face it: You are going to need to harness some new skills while living through the apocalypse. This lightweight book covers a wide variety of disaster scenarios in detail. How to preserve and store food and water, fortifying your home, cooking off the grid, and much more. These skills are of the utmost importance during the rise of the dead ones. You are going to need something to get you through the hard times. How about a little humor to go with your zombie bite? Thanks to this book, your fear of brain-eaters will instantly be gone. A quick read for those moments where you just need a good laugh. Okay, you’ve got the survivalist aspects down, but you’re going to need to learn a trade. What about beekeeping? Honey is one of those simple pleasures that everyone will want when the world collapses. Learn how to maintain a bee farm and use the honey to barter with other survivors. Kim Flottum’s Honey Handbook has everything you need to know to get started. This book can save your life. Even the back of the book is informative with top ten lessons for surviving a zombie attack. Your most precious asset is, of course, your life. 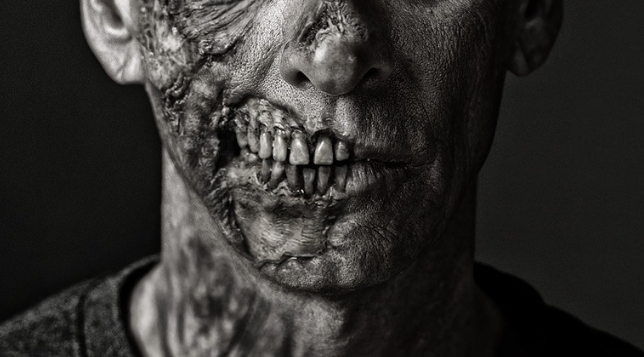 Max Brooks, author of World War Z: An Oral History of the Zombie War takes you through everything you’ll need to know about these rotting creatures. Looking for these books or other entertainment while you fight your way through the zombie apocalypse? Check out the extensive undead selection we have at all Bookmans locations! When the zombies come, we got you covered. Editor’s Note: The movie World War Z has little-to-nothing to do with Max Brooks’ World War Z book beyond the inclusion of zombies and the title. One cannot and should not be substituted for the other.